Officially, there is no single, global peace flag. Flags of Peace invited over forty reputable designers and artists from over forty different countries to propose their solutions to this undetermined icon. 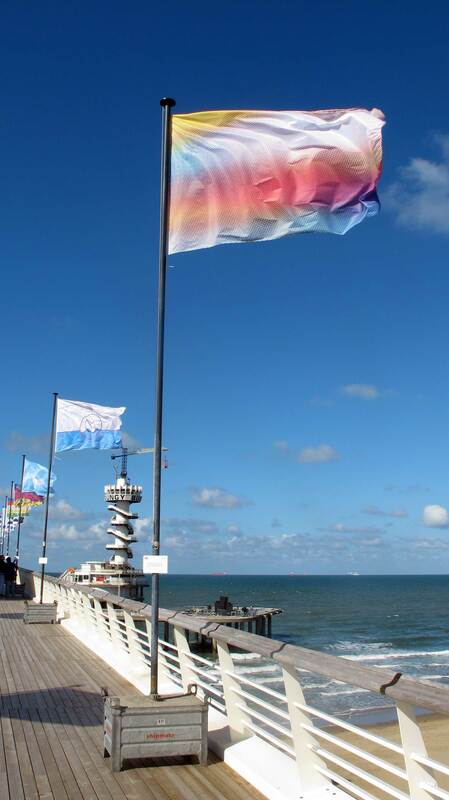 Newly created flags were showcased at De Pier in The Hague where they presented an impression of what peace means to individuals in all corners of the world and how it should be symbolized. The exhibition formed a visual dialogue on peace and is an ongoing project which aims to collect a design from every country in the world. 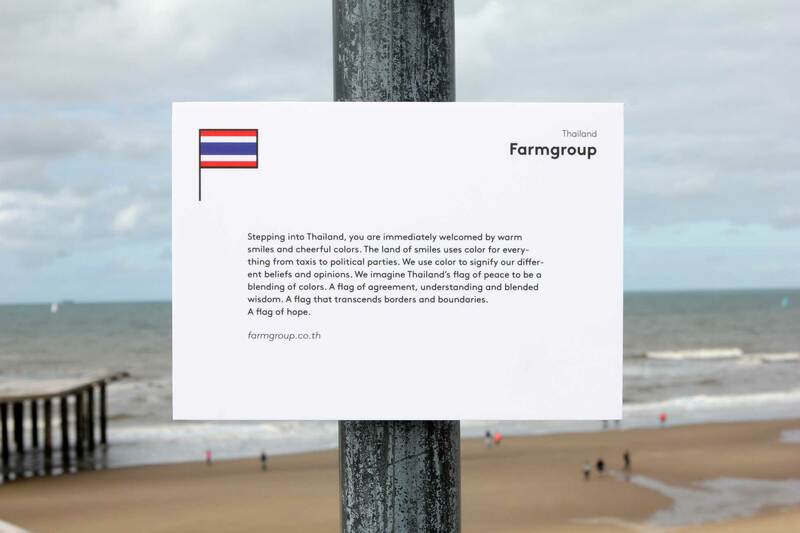 Farmgroup was chosen to represent Thailand. Stepping into Thailand, you are immediately welcomed by warm smiles and cheerful colors. The land of smiles uses colour for everything from taxis to political parties. We use colour to signify our different beliefs and opinions. We imagined Thailand’s flag of peace to be a blending of colours. A flag of agreement, understanding and blended wisdom. 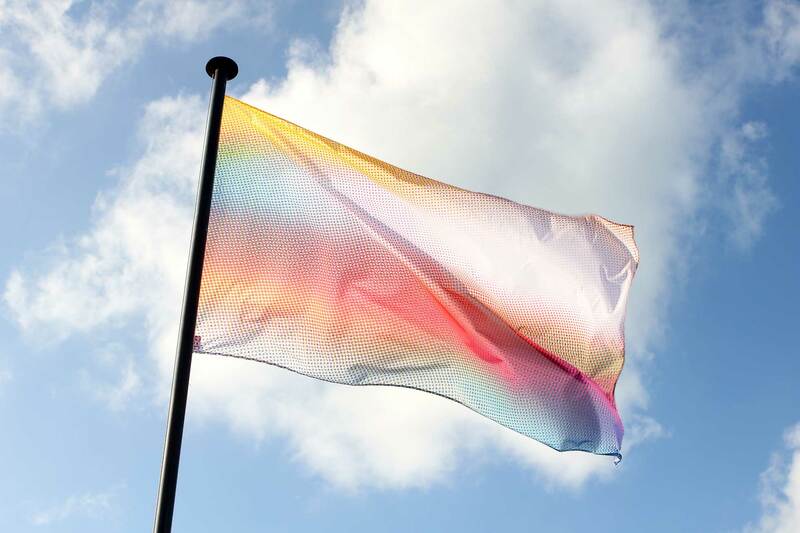 A flag that transcends borders and boundaries. A flag of hope.